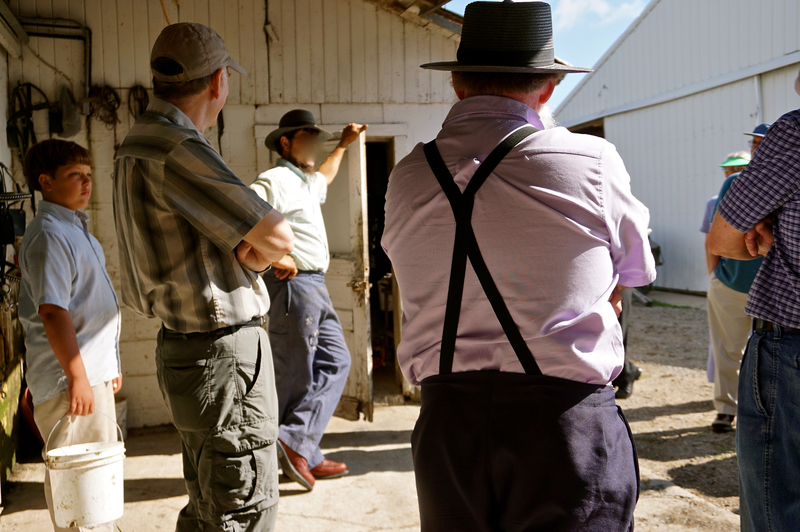 Michiana Anabaptist Historians – Page 3 – History of Mennonites, Amish and other Anabaptist groups in the Michiana area. 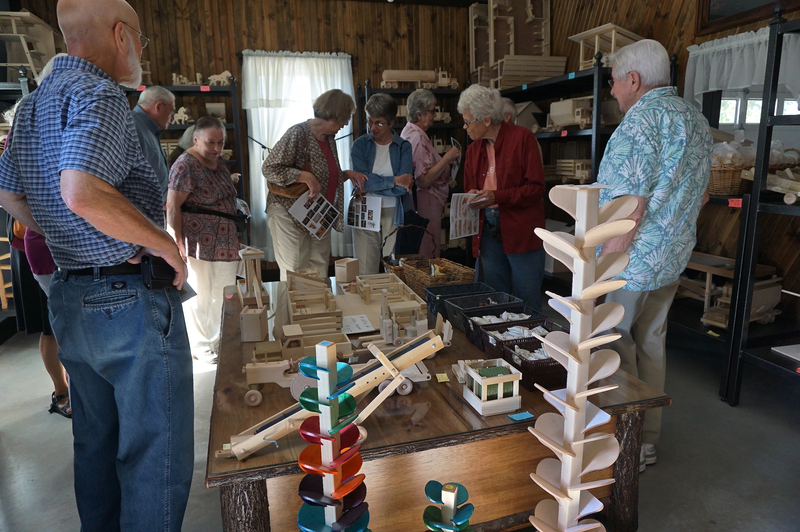 Floyd Miller led members of Michiana Anabaptist Historians on a field trip to various Amish businesses and farms in LaGrange County, Indiana on Saturday, July 15, 2017. Owl wooden toy shop, owned by Owen and LeEtta Wingard. The name “owl” comes from a combination of the two owners’ initials. 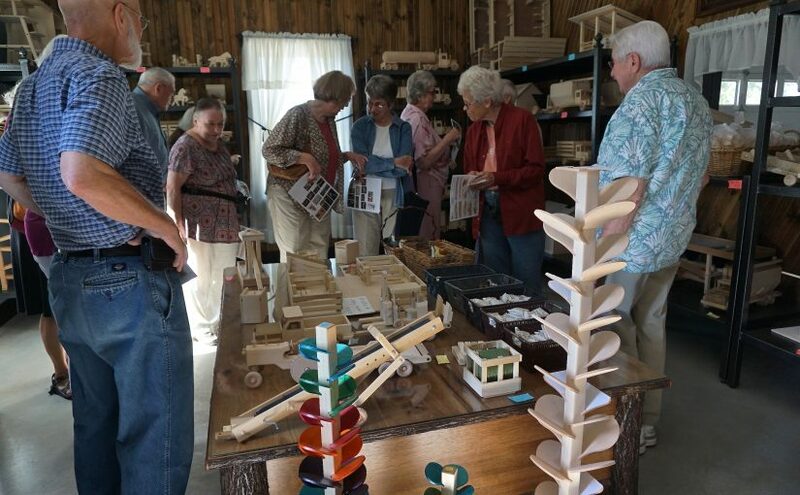 Tour members examine the many handcrafted wooden toys for sale. 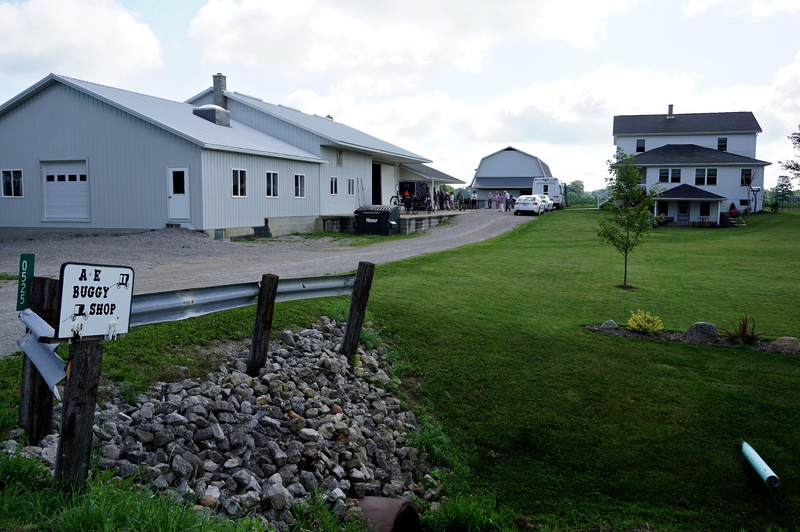 At the organic dairy farm owned by Roman and Lorene Lambright. Fresh chocolate chip cookies from Lorene at the end of the visit! The A. and E Buggy Shop, owned by Alton and Edna Fry. The name comes from the owners’ initials. 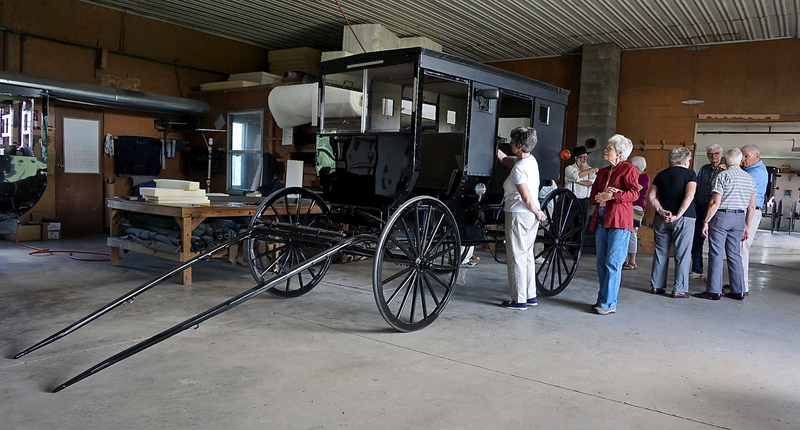 A new buggy inspected by Carolyn Hertzler and Barb Smucker. 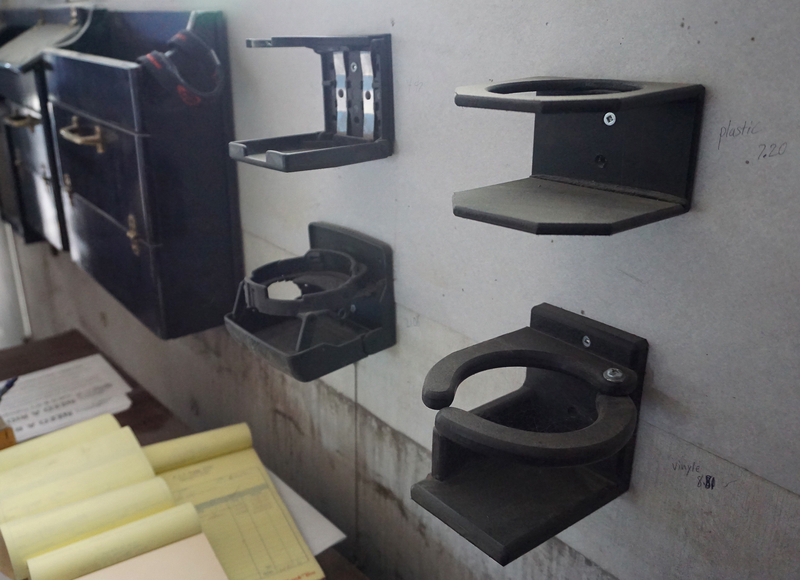 Choice of cup holders in customizing a buggy. 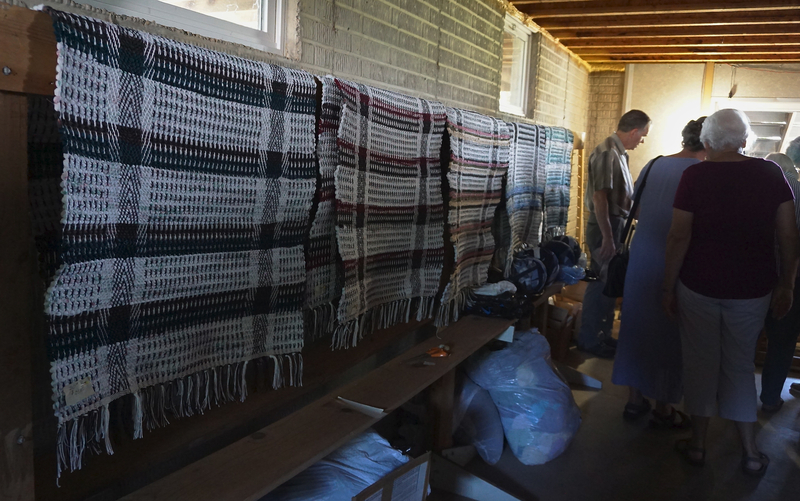 Rag rugs woven by Katie (Mrs. Floyd) Miller, who also provided a wonderful lunch in her home for the 22 members of the tour. 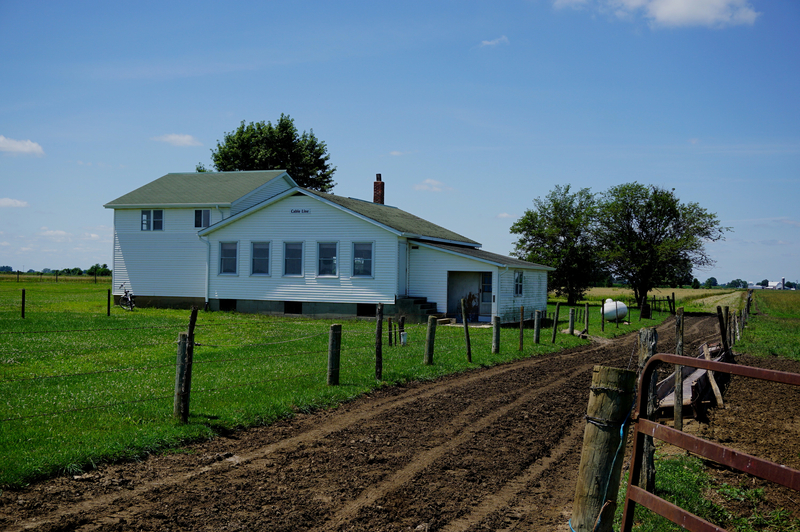 The Cable Line Amish School, with an apartment for teachers in the upper floor of the annex. 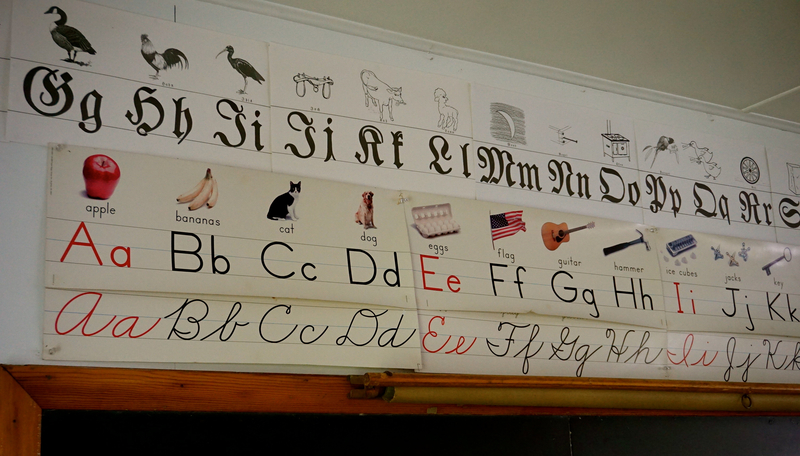 Scripts and alphabets in the Cable Line School. 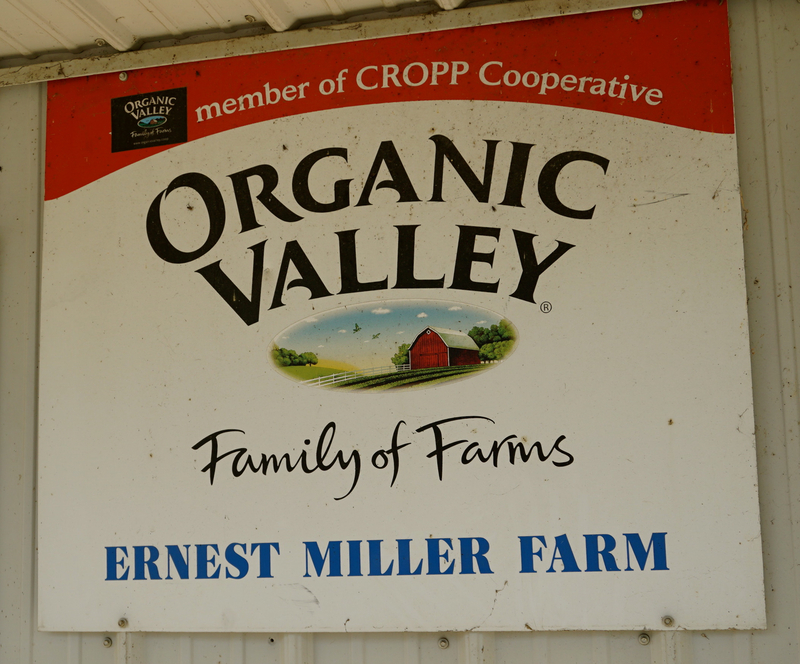 Organic dairy farm, with high-tech features, owned by Sue and Ernest Miller, son of Floyd & Katie. 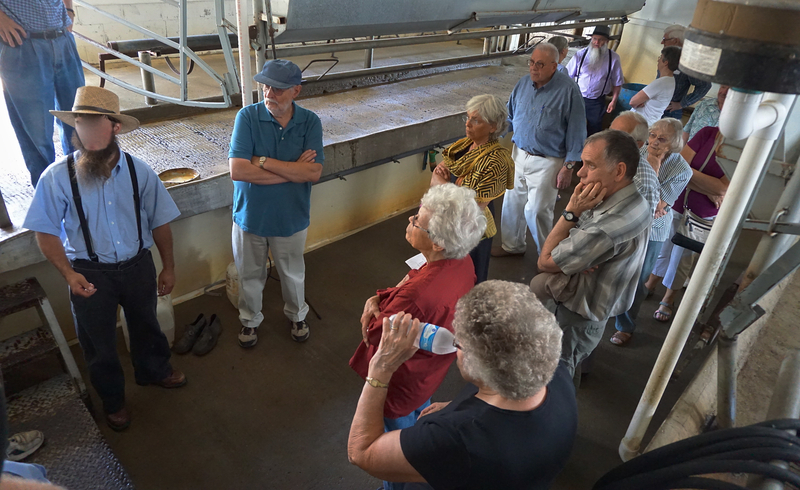 In the milking parlor, the owner describes his farm operations to the tour group. 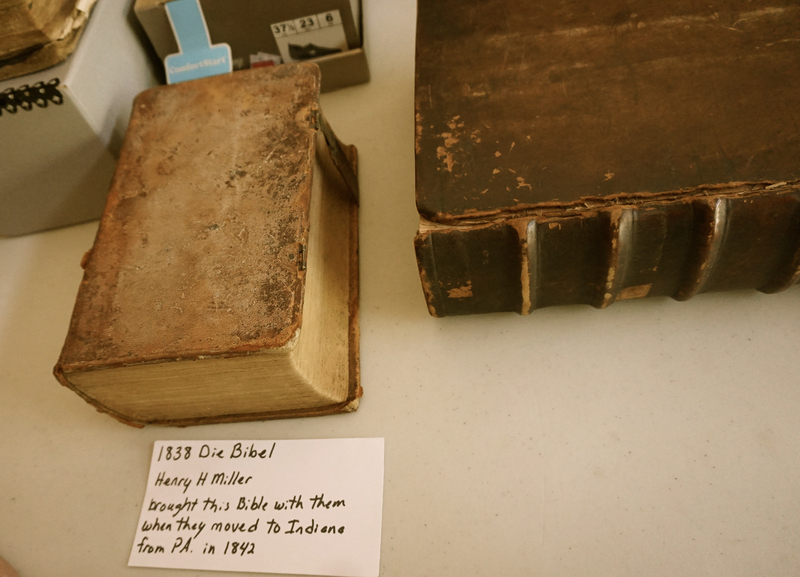 1838 Bible in the collection of the Northern Indiana Amish Library. 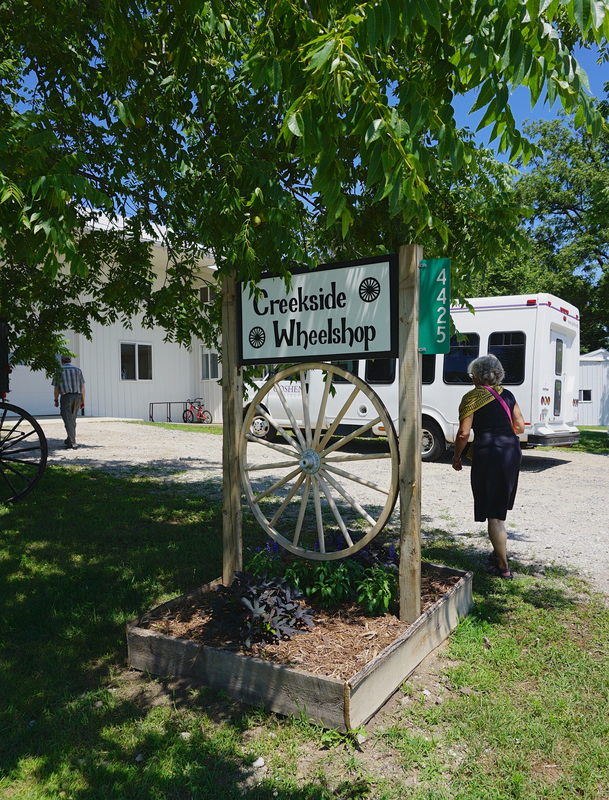 Creekside Wheel Shop, owned by Ervin and Christina Miller. 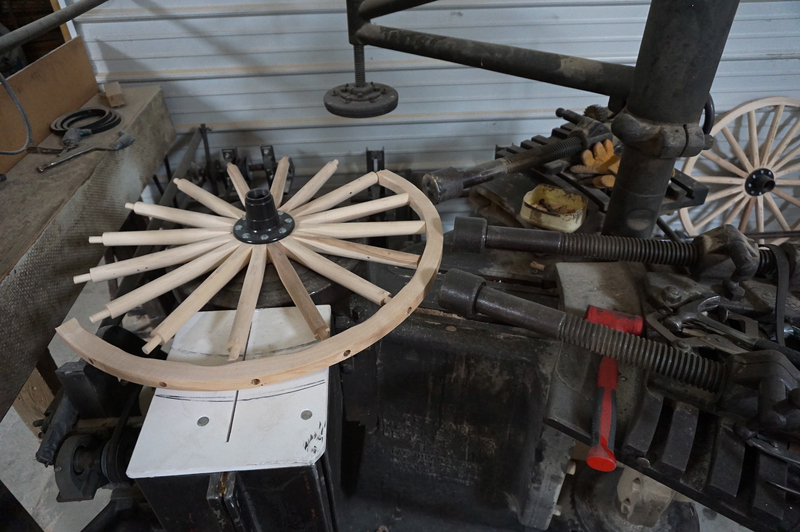 Buggy wheel being crafted on a specially designed machine. When: August 6, 2017, 1:30 p.m.
A large historical marker dedicated to the work of John F. Funk will be unveiled and dedicated at Prairie Street Mennonite Church on Sunday, August 6, at 1:30 p.m., 1316 Prairie Street, Elkhart, Indiana. The unveiling will occur during the congregation’s annual “Funk Celebration” Sunday. Rich Preheim will speak in the Sunday morning services on themes relevant to the history of the congregation, followed by a potluck dinner. All are welcome to attend the services and the meal. MAH members are especially urged to attend the unveiling of the marker, whose main sponsors are the Michiana Anabaptist Historians and the Prairie Street Mennonite Church.